On April 1st, I wrote a fake interview regarding Hideo Kojima and Konami. I stated that The Phantom Pain was the last title Kojima would develop with Konami, that he, Guillermo del Toro, and Norman Reedus had all been dropped from working on Silent Hills, and that Konami would be drastically down-sizing in the future to focus more on using their properties for developing mobile games and pachinko machines. The article was one half practical joke and one half honest prediction for the future of this once legendary game company. Sadly, my little prank is becoming more fact than fiction by the day. Not only have Kojima, del Toro, and Reedus all been dropped from Silent Hills, Silent Hills itself has been dropped altogether with Konami officially confirming that the game has been cancelled. On top of that, Konami has delisted itself from the New York Stock Exchange, suggesting a downsizing of the company. Where Konami has been placing its interest is the possibility of gambling being legalized in Japan and hoping to partner with new casino resorts. All signs point to The Phantom Pain being the last major game that Konami develops and that its iconic franchises will be relegated to promoting mobile apps and gambling devices. Before you call that a ridiculous idea, I should point out that Konami has already announced a Neo Contra slot machine. One anonymous source claims that much of the drama surrounding The Phantom Pain and Silent Hills has been the result of a feud between Kojima and Konami founder Kagemasa Kozuki and that many of the development teams have been facing mergers or have are being forced out through unethical means. It seems that the Konami that we’ve known for the last thirty years is dying and series like Metal Gear, Silent Hill, and Castlevania will never be the same. However, that doesn’t mean that their legacies can’t live on. The name Konami isn’t what brought us countless classic games; it’s the people who have worked under that name. Kojima may never work on another game titled Metal Gear, but he doesn’t need that title and cast of characters to craft intriguing games. Intellectual properties are merely a canvas for developers to apply their craft upon. Silent Hills may never be, but what’s to stop Kojima and del Toro from starting over from scratch and creating an original horror game? Admittedly, it wouldn’t be nearly as easy as I’m making it out to be, but it’s far from impossible. Even if Konami leaves its IPs to rot, there’s always room for spiritual successors to carry the torch. We’ve already seen games like Mighty No. 9 and War for the Overworld step up on behalf of the neglected Mega Man and Dungeon Keeper franchises. While the direction Konami appears to be taking is certainly a set-back for gamers everywhere, it’s not going to stop good games from ultimately being made. Even if gambling isn’t legalized in Japan and Konami’s expected shift doesn’t work out, I don’t expect Konami to go under anytime soon. Their development of slot machines for international markets has been making them a steady profit while their game sales have been steadily declining over the last few years. Just look at this official financial report of theirs where, for the record, video games are listed under digital entertainment and slot machines are listed under gaming and systems and tell me you don’t see a trend. To a degree, I can actually understand the transition they’re trying to make. The main takeaway is that the possible end of Konami as a game developer does not necessarily mean the end of your favorite games. Kojima is an industry legend and it won’t take him long to settle into a new, hopefully more comfortable situation. Any franchises that end up woefully abandoned will see a revival in one way or another. 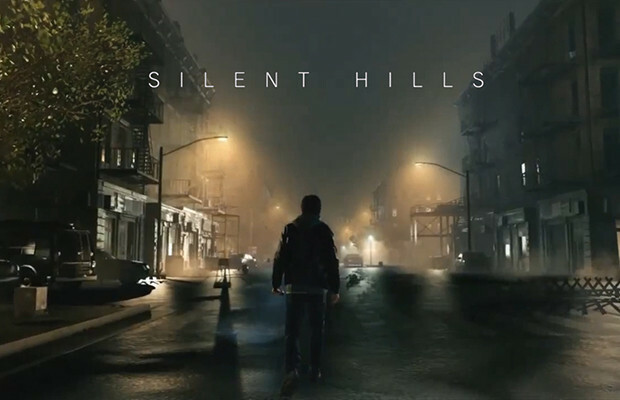 It’s a shame that Silent Hills had to be lost as a result of the internal strife, but it is far from being the end of great survival horror games.